I know what you're thinking.....so who is the guy anyway? What does he know about firewood? Well, let me introduce myself. My name is Matt Galambos and I am 32 years old. I live in New England and have worked many different forestry jobs over the past 10 years. I started this website for two reasons- to share my knowledge of firewood and to make some extra money. I've always enjoyed sitting by a warm fireplace or woodstove. Especially knowing that I put hard work into cutting and processing the wood I'm burning. After scouring the internet looking for a good source of information about all things firewood, I realized that there is a need for a website like mine. That is when Keep-It-Simple-Firewood.com was born. I keep it simple because really, what good is information if you can't understand it? For that reason, I cut out all unnecesary information and give it to you straight with a little humor sprinkled in for good measure. Sounds great, but what makes you an expert? To be blunt, because I've got the experience. International Society of Arboriculture Certified Arborist. 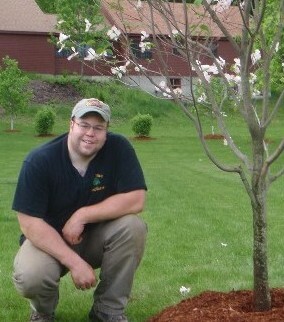 Worked as an Arborist and Vegetation Manager for multiple companies in Maine and Massachusetts. 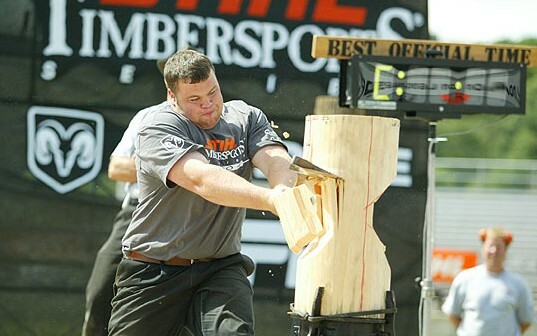 Compete as a Lumberjack Sports Competitor across North America. Worked as a Forest Technician marking timber in the Adirondacks of New York State. Have many friends and contacts in the business that range from Firewood Business Owners to Arborists and Foresters. What can your website offer me? No nonsense, easy to read, accurate information that you can actually use. Everything you need to know about firewood is on this site. Whether you are concerned about buying firewood, looking to cut your own, or having trouble with a woodstove- you will find a solution here. I can promise you this- anything that I recommend to you will be a top notch product or service. If you have any questions or would like more information about anything, contact me via my contact page. Thanks for visiting Keep-It-Simple-Firewood.com and until I hear from you again, keep on chopping.